On the shaft below the cross beam there are three stylised branches with leaves. Weathered, looks like it may have been shortened at one time. Survey and photographs courtesy of Scott Galloway, additional photograph, Ben Makin. Detailing: Plain, weathered wood. Four bent over nails attach the cross beam to the shaft. Finish (varnish, paint, oiled, unfinished etc): Plain, unfinished. 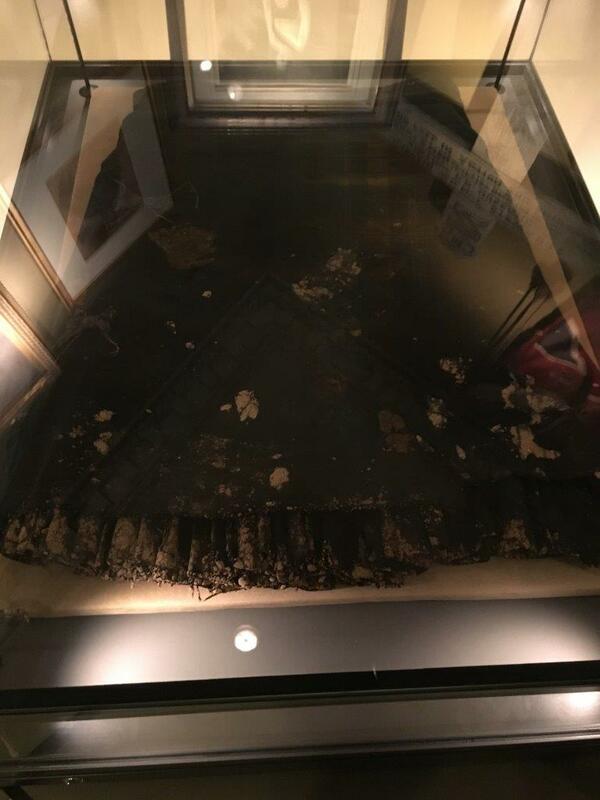 Weathered, some small damage, generally fair condition. 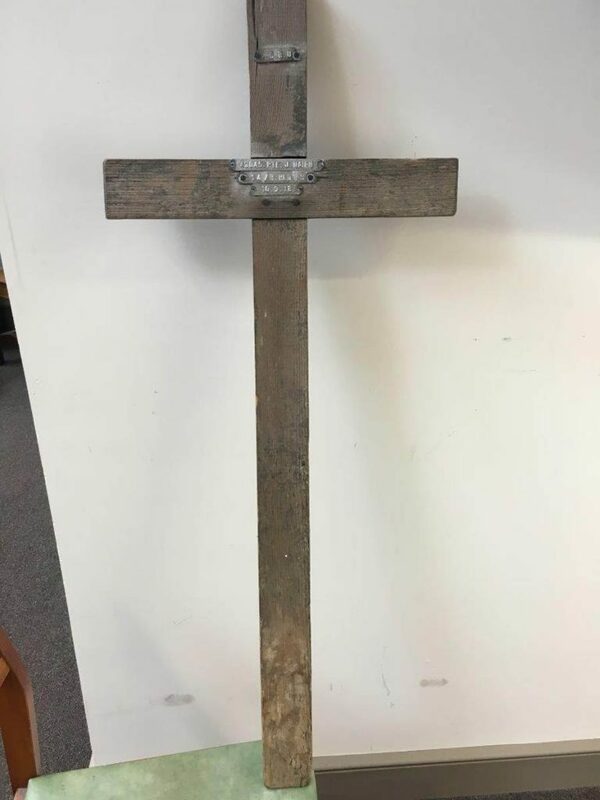 out to be the original grave marker of S/43045 Private J Nairn of the 14th Battalion Black Watch, killed in action on the 10th September 1918, just 54 days before the ceasefire, which started the official end of the First World War. 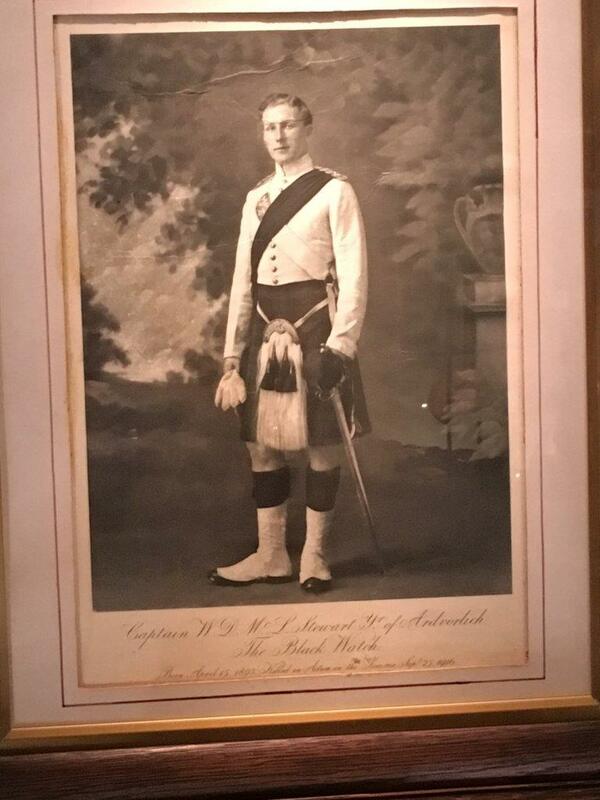 James Nairn, the son of Andrew and Margaret Nairn, who lived in Sawmills Cottage, Blair Atholl, initially enrolled in the 6th Battalion Black Watch, and was given the army number 3399. 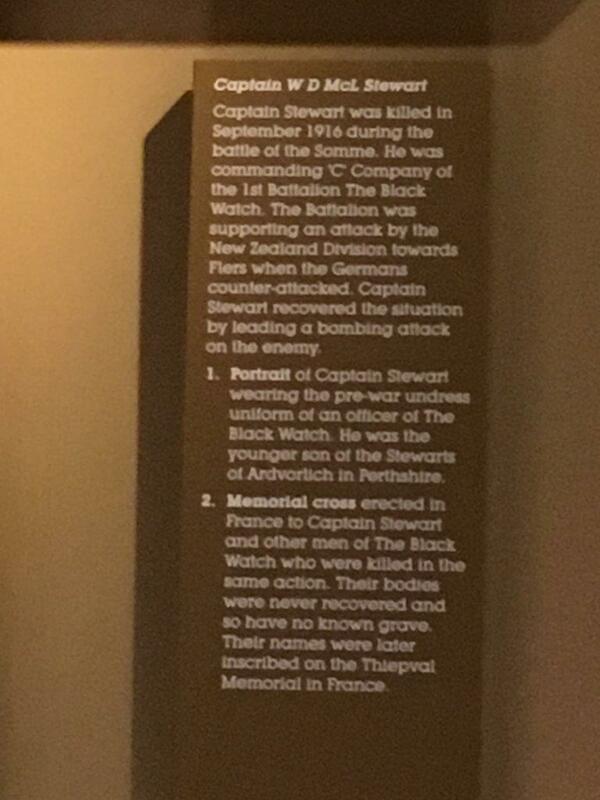 He was posted to France on the 29th August 1915 and continued to serve with the 6th until, most likely, his wounding on the 20th March 1916. 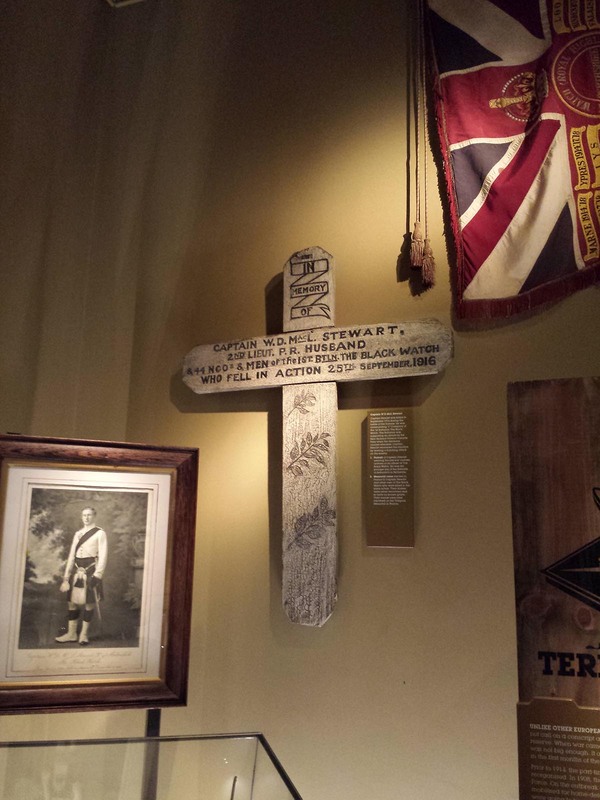 After recovering he was posted to the 8th Battalion, most likely because the 6th were up to full strength, and was again wounded on the 29th January 1917, after which he appears to have been posted to the 14th Battalion. 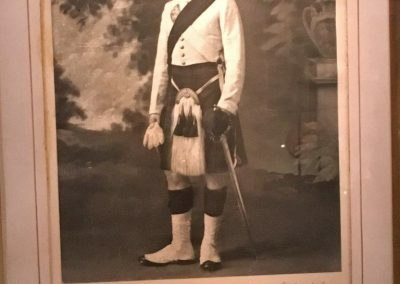 Already a veteran of three years on the Western Front Private Nairn was to see his last action on the 9th September 1918, when his battalion attacked the German trenches on the Ronssoy Basee Boulogne Ridge. This high ground totally dominated the local area and allowed the Germans to target the British lines very effectively. This, combined with the poor nature of our trenches, as well as a concentration of enemy snipers, meant that this was a very dangerous sector for the British. 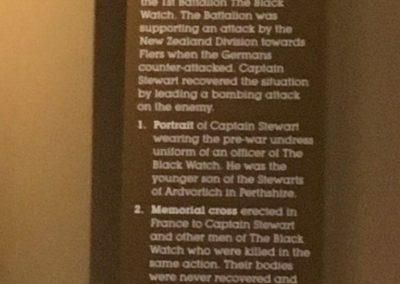 The attack was set for early in the morning of the 9th but confusion over orders meant that it was delayed. Furthermore the artillery barrage which would assist the attack had to be postponed, but news of this never reached the Battalion. As a consequence the men of the 14th, some 400 in total, along with other battalions attacked the ridge line with no preliminary bombardment to soften up the defences. 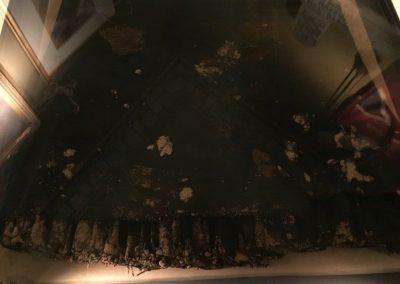 The result was disaster. C Company, along with soldiers from the Somerset Light Infantry, managed to creep up to the German lines, and began to cut the wire. 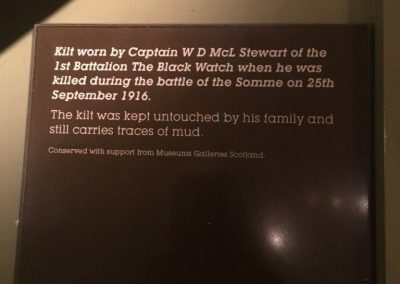 At this point though they were seen and the Germans opened up a murderous rifle fire, C Company, and its supporting B Company, found themselves virtually surrounded and facing annihilation. 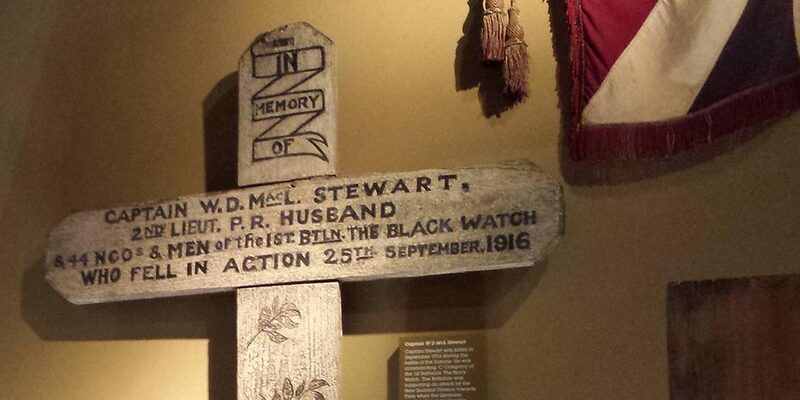 Ordered to retire they fought desperately to disentangle themselves from the German defenders. Eventually managing this they got back to their own lines, but were shocked to find that of the original attackers, fewer than a quarter had returned. 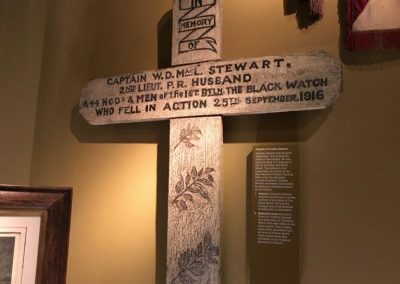 The tragedy for Private Nairn was that he survived this attack but was killed the next day, when his battalion were being reformed in the village of Longavesnes behind the lines. 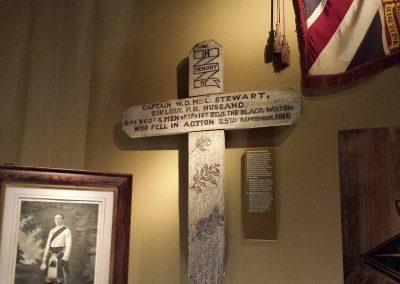 This was a fate suffered by many during the First World War, and the reasons for the death can range from artillery shelling to grenade accidents, indeed this writer knows of one soldier who was kicked to death by a mule whilst in a rest area. 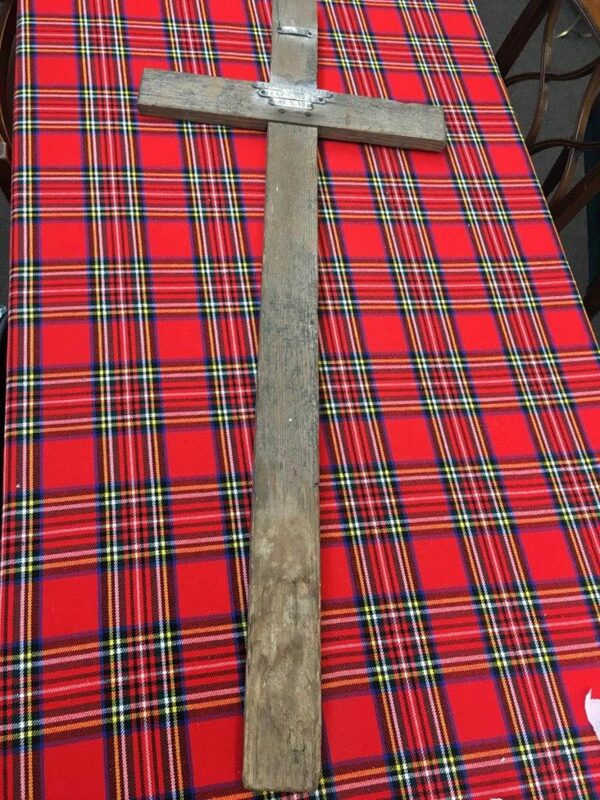 Having died in an area behind the lines, Private Nairn was given a burial with full military honours, and the cross, still displaying damage on top from where it was hammered into the ground, which the museum is now the proud owner of, was placed on the grave. 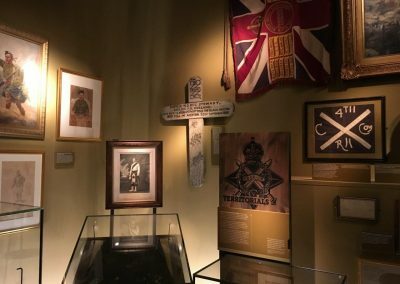 Following the war’s end the Commonwealth War Graves Commission moved his body to the St Emilie Valley Cemetery, Villers-Faucon, where he was reinterred. 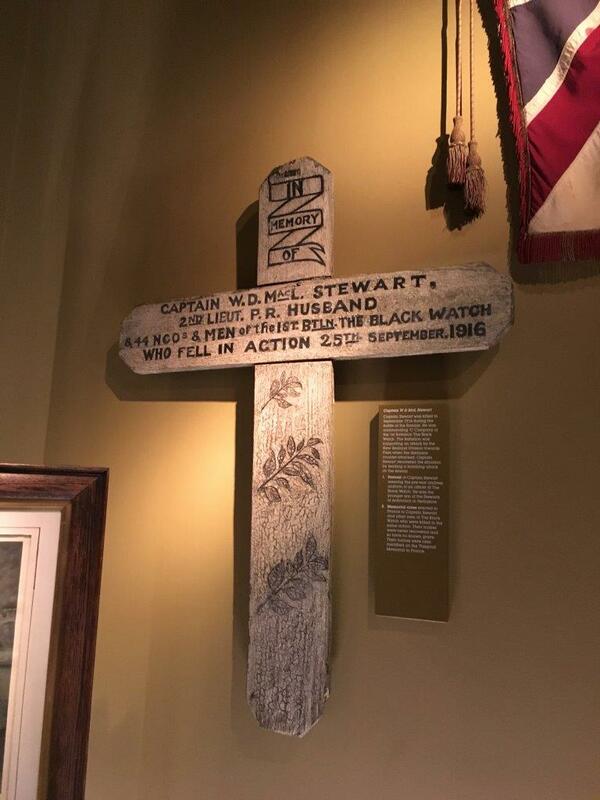 Following his move, the original cross, with its simple metal plaque recording his name, battalion and army number, was offered to his family, from whom, a hundred years later it was donated to this museum. 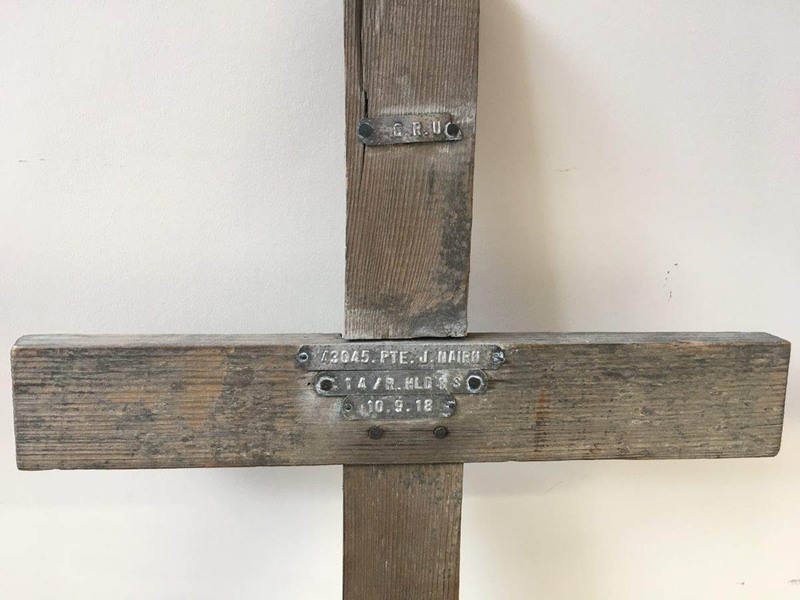 Because of the passage of time these original crosses became more and more rare and this donation is the first of its kind in the history of the museum. 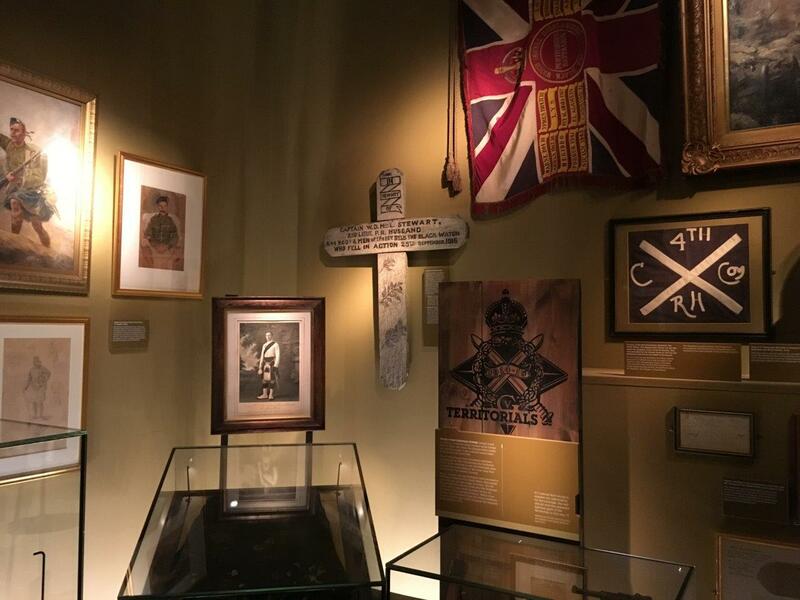 As a consequence it is hoped to be able to put the cross, along with the story of Private Nairn on display in the museum’s temporary exhibition gallery. 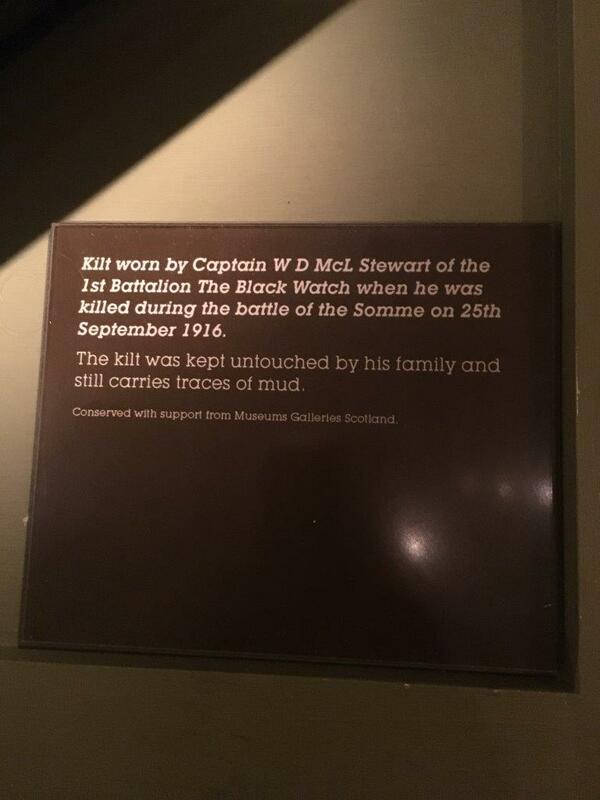 Notes and observations by Richard Mackenzie, archivist, Black Watch Museum. Date of Survey 4/4/2017 (THis page was revised and this cross added on the 14th August 2017.